Doucet was born June 1, 1943 in Kaplan. He graduated from Kaplan High School in 1961. He briefly taught school at Istrouma Junior High in Baton Rouge, Sacred Heart High in Ville Platte, and was a supervisor for the East Baton Rouge Parish School Board. He joined the U.S. Army Reserve in 1967and completed Judge Advocate General School from the University of Virginia in 1968. Doucet attended USL and Northwestern State University. He received his Juris Doctorate degree in 1970 from Loyola University, after which he established a general law practice in Kaplan from 1970 – 1978. During this time he also served as City Attorney and Prosecutor for the City of Kaplan, and acted as Coordinator for the District Attorney’s Office in Vermilion Parish. During 1976 through 1978, he was elected as a State Senator for the 25th Senatorial District, which at that time consisted of Acadia and Vermilion Parishes. During his time in the Senate, he served on the Agriculture Committee, the Natural Resources Committee, the Judiciary Committee, the Senate Education Interim Committee, the Louisiana Prison Oversight Committee; the Governor’s Committee on Natural Gas, the Superdome Commission, and the Southwest Regional Energy Council. 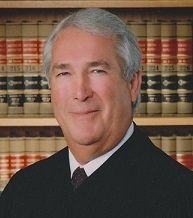 Doucet has served as Judge on the Third Circuit Court of Appeal since January 1, 1979. He has been Chief Judge since Jan. 1, 1995. He has also served by appointments as Judge Pro Tempore for the Louisiana Supreme Court, the Fifteenth Judicial District Court, and the Sixteenth District Court. He is a member of many civic organizations, including American Legion, Knights of Columbus, Rotary Club, Action Cadien, Louisiana Municipal Association, Intracoastal Seaway Association Kaplan Industrial Committee, Kaplan Jaycees, and was Charter President of the Kaplan Rotary Club. He also is a member of many professional organizations, including the Louisiana Conference of Court of Appeal Judges, the Louisiana Law Institute Council, the American Judges Association of the Third Circuit, the Louisiana Judiciary Foundation, the Louisiana Human Resources Committee, the Louisiana Judicial Budgetary Control Board, and the American Bar Association, the Louisiana Bar Association and the Lafayette Bar Association. He is married to the former Lola Bernard of Erath and has 2 children.